Remember a few posts back how I mentioned there were a few traits we pass down to our children? Well I’m happy to say and observe that my love of party-giving and celebrating has passed easily into the heart and soul of my daughter. 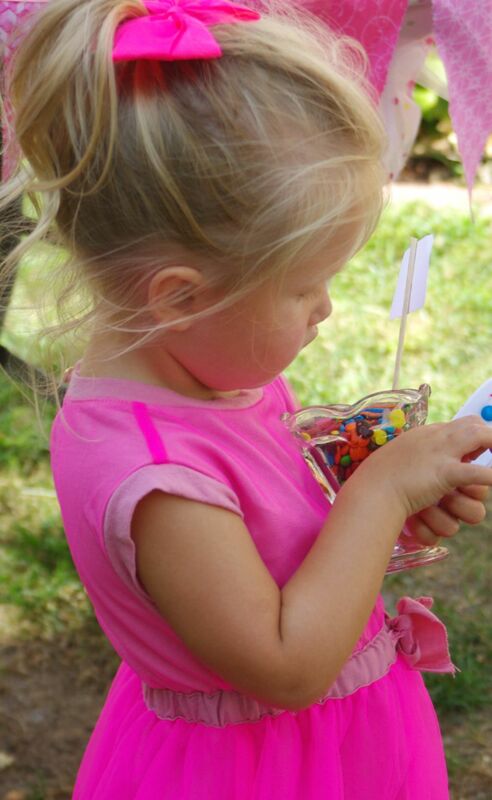 And,there is no better celebration than a birthday, especially when it involves a child. No matter the age my children were turning, whether it be 1 or 21 or. . . (well let’s just say they’re getting older these days) I always want to make their day special. 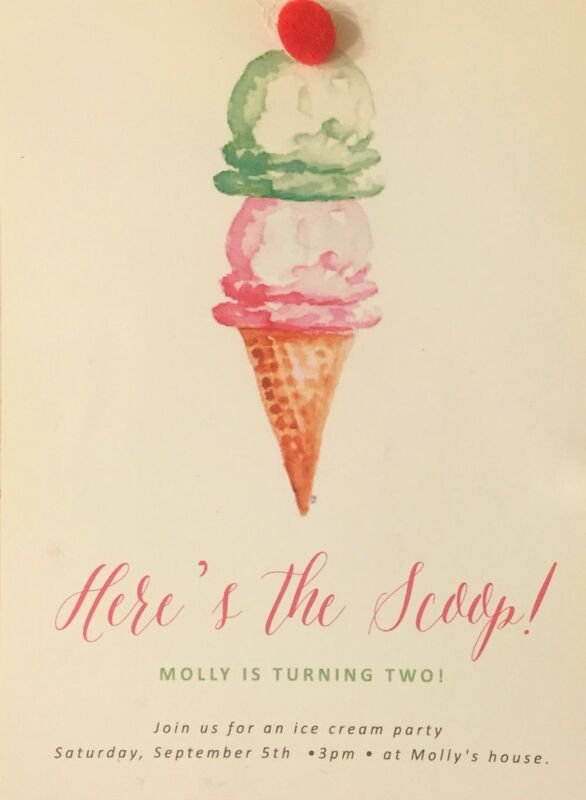 Now I have the added pleasure of joining and lending a helping hand to help celebrate Molly’s special day. Last year we celebrated with a circus party (here). 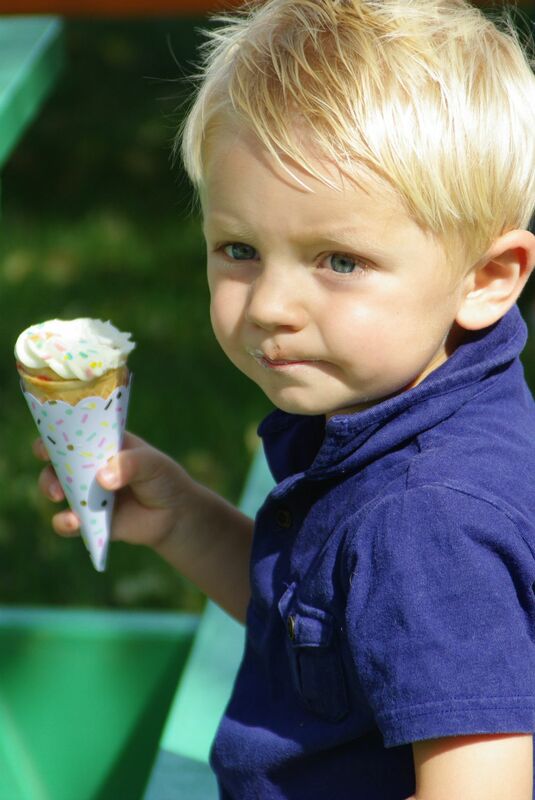 This year it was all about Ice-Cream with the cherry on top! Tori, my daughter, chose the theme and we actually began shopping for the party a few months ago. 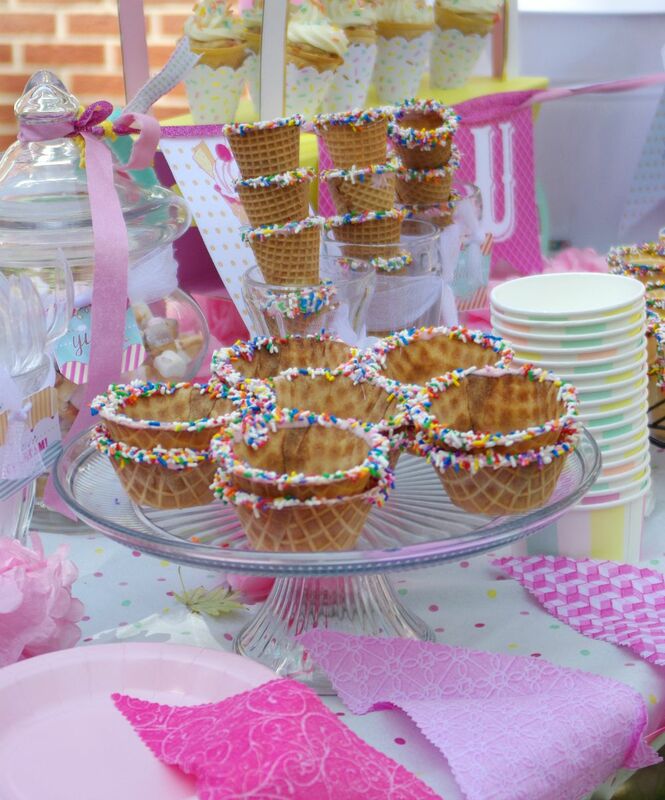 Thinking ahead always helps both with stress and finding just the right accessories to make the party “POP”. Tori sent out invites a few weeks ahead of time . . . Easily letting the special guests know what was in store. Then last week I flew in a few days before the party just to lend a helping hand. We spent a few days prepping in the kitchen . 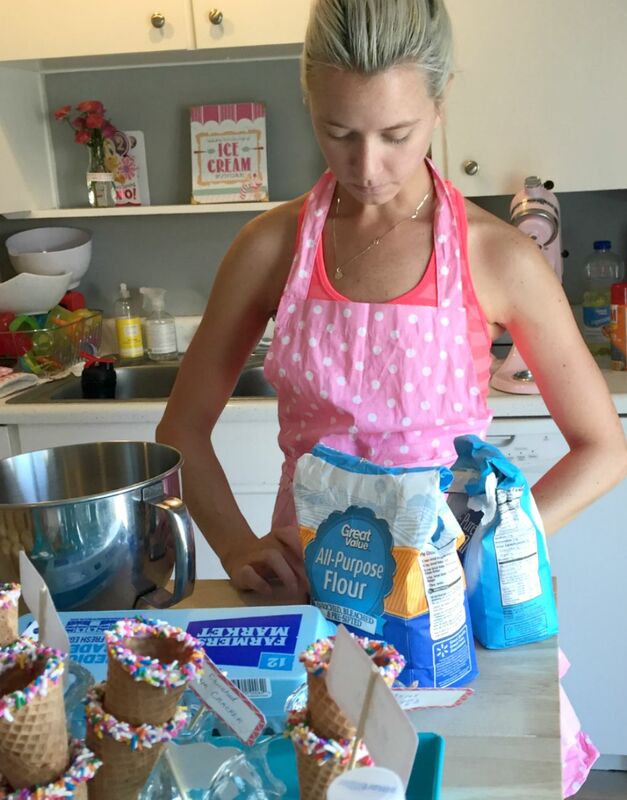 . . (no, I do not look this cute while baking). Making banners and place cards for the treats . . .
As well as buying and wrapping the party favors. 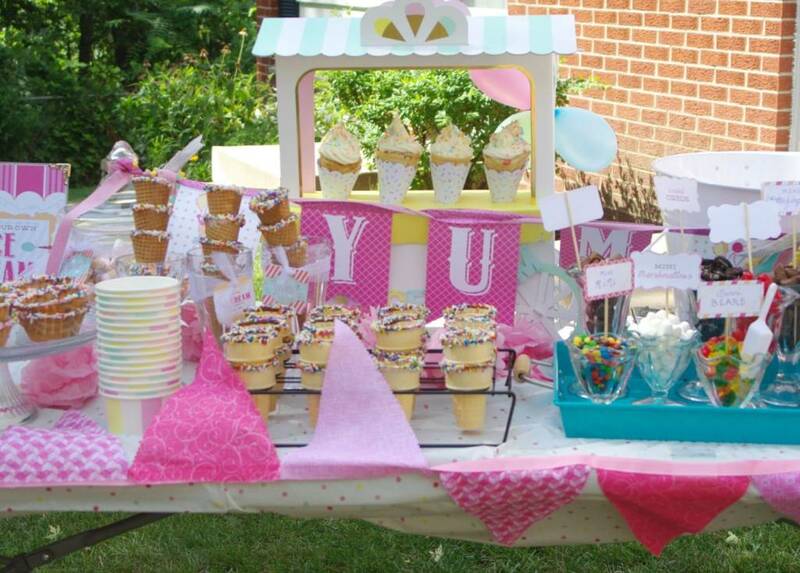 The actual day of the party all we had to do was set up Molly’s Old Fashioned Ice-Cream Shoppe. Knowing the weather was set to be a nice day and the kiddos would be getting just a bit sticky, an outdoor setting was perfect. 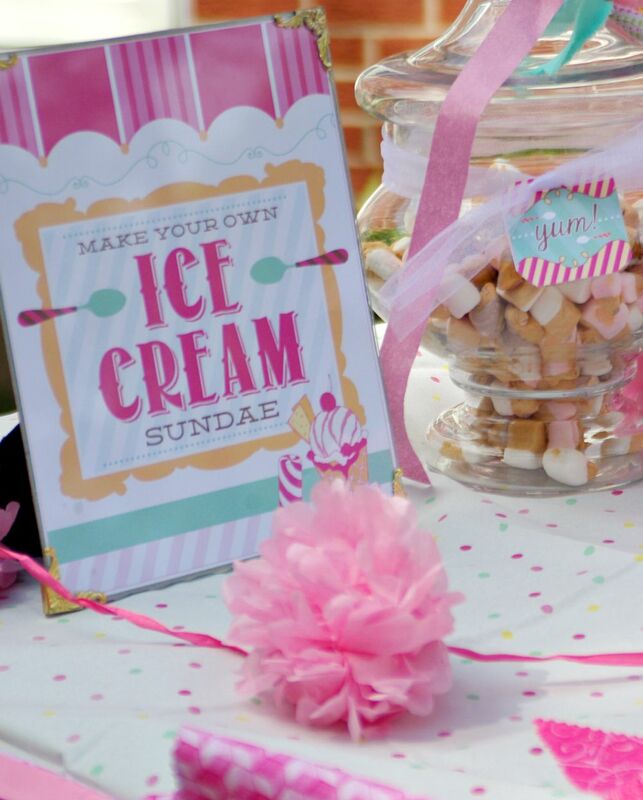 Also keeping in mind all the children’s parents were invited as well, I mean who doesn’t want to join in building an ice-cream sundae? We placed the chalkboard art on the outdoor window seal and then added some banners and balloons. 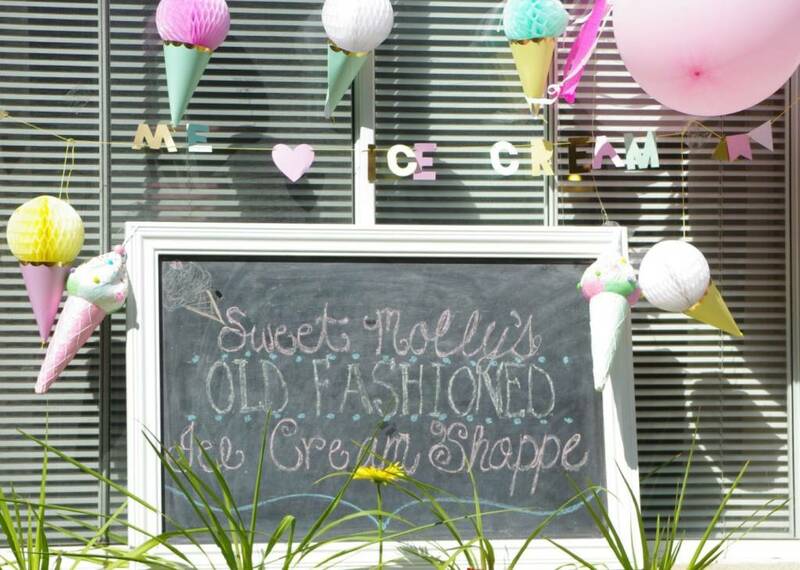 Next we began setting up Molly’s Old Fashion ice-cream shoppe . . . 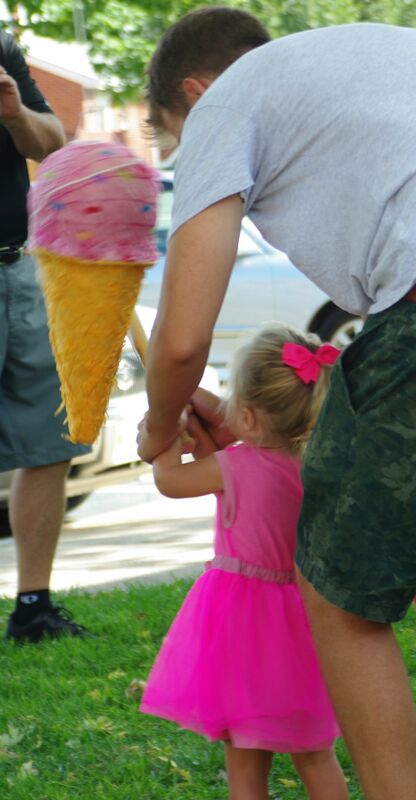 Which consisted of cones dipped in chocolate and sprinkles . 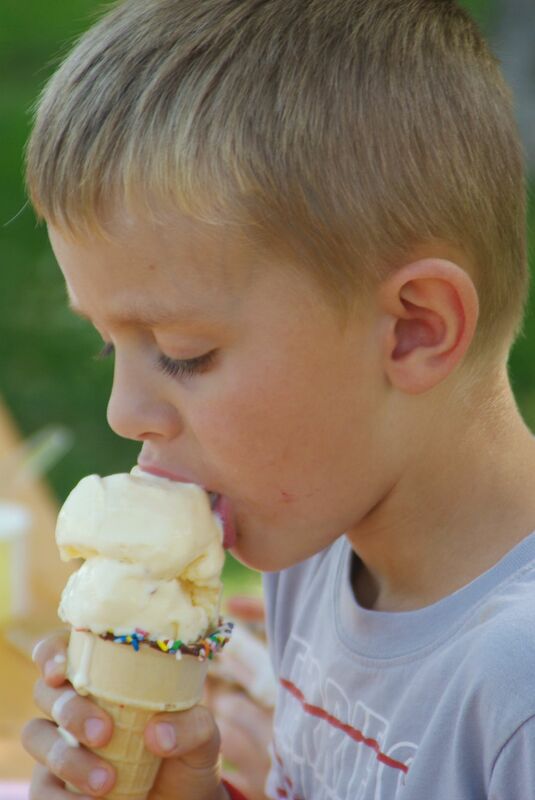 . .
And all kinds of toppings, carefully placed in old fashioned tulip sundae and milk shake glasses (hint: found at the local antique store) to make your own sundae . 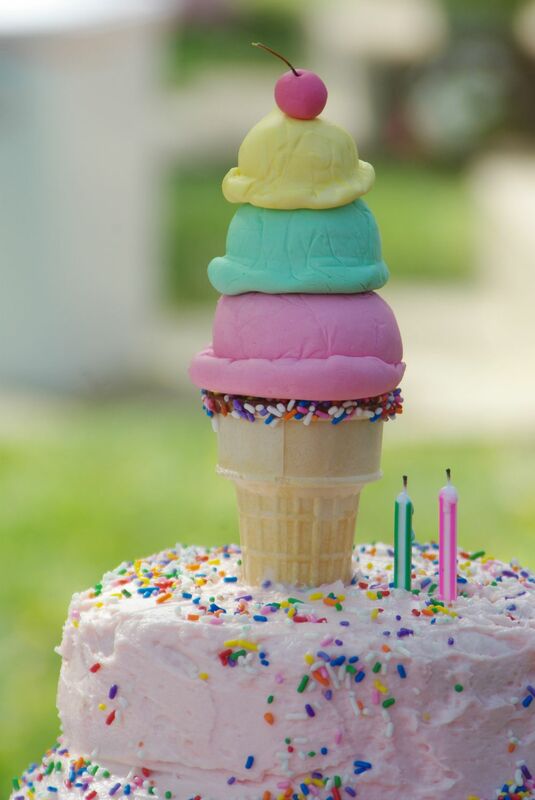 . .
Ice-cream cone cupcakes . 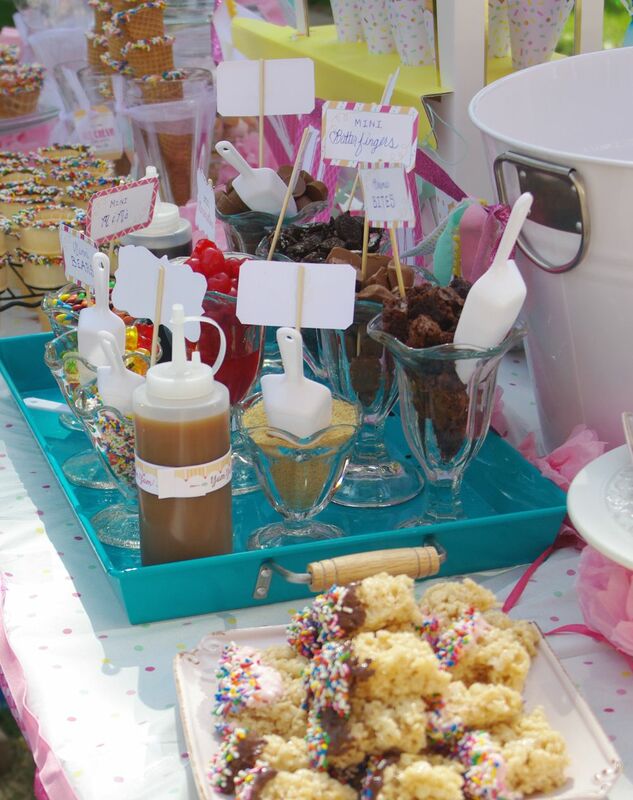 . .
Rice crispy treats dipped in chocolate and sprinkles . 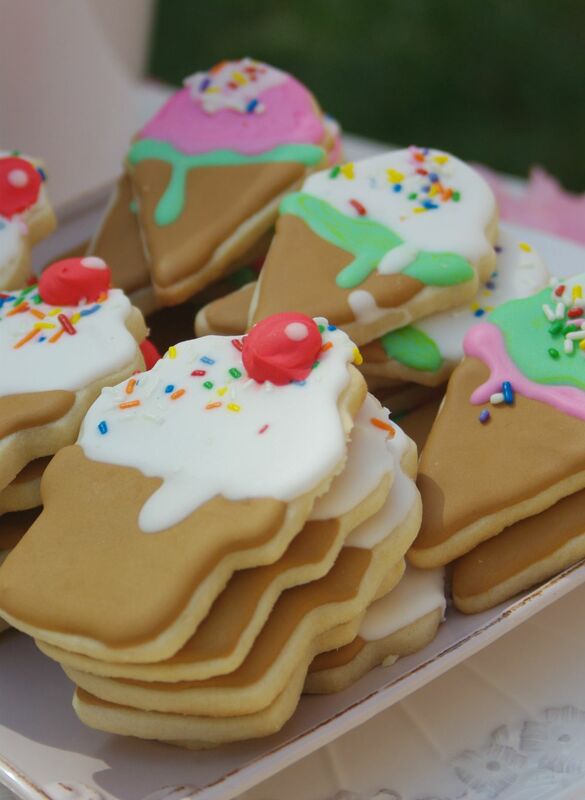 . .
And homemade ice-cream cone shaped sugar cookies. This was one delightful site for an ice-cream shoppe. What I found so enjoyable about this party was observing how everyone, of all ages were enjoying themselves by doing the simple things in life. 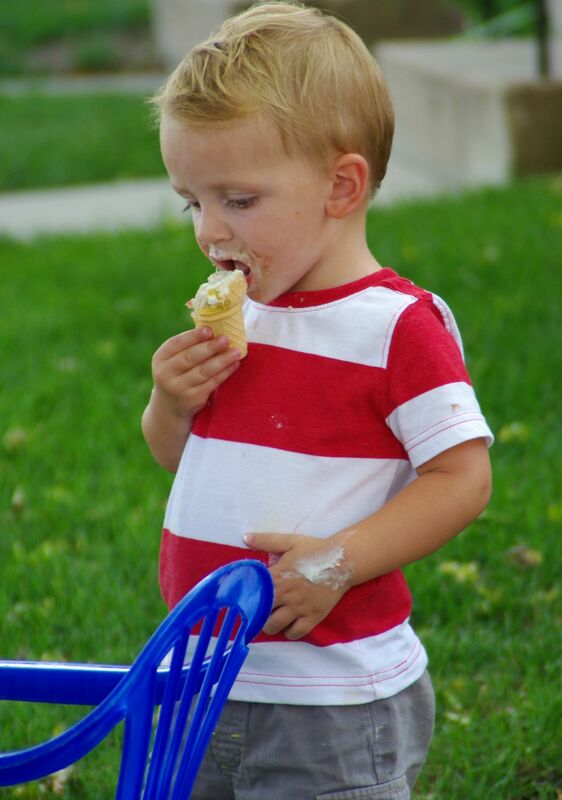 Eating an ice cream cone . . .
and coloring for entertainment (the kids loved this). 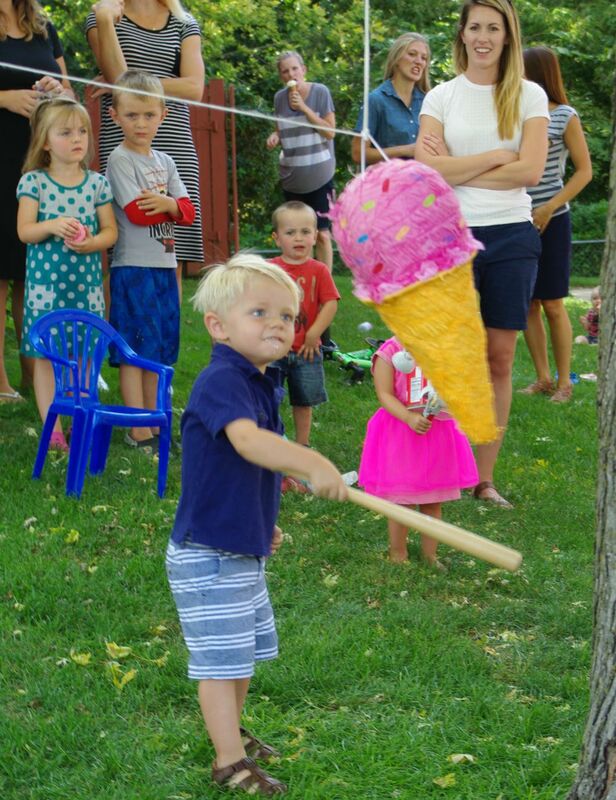 And then taking turns hitting the ice-cream cone piñata. 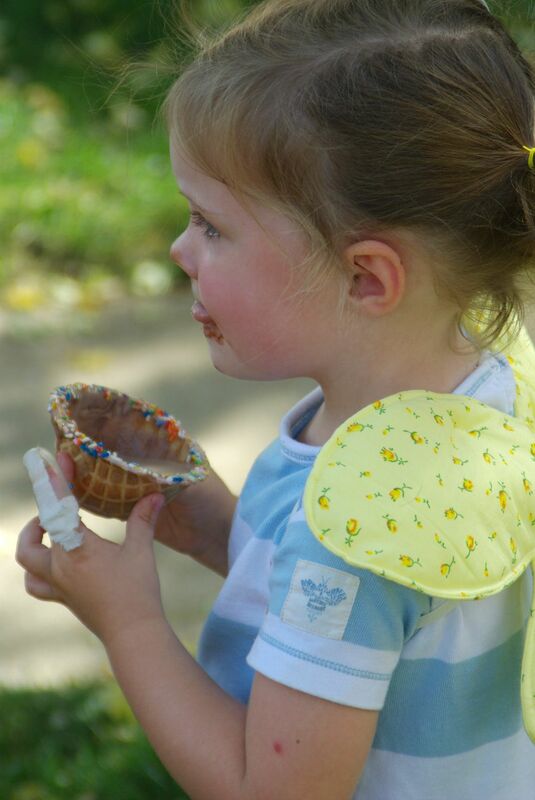 Remember the thrill and squeals when the candy finally flies out! 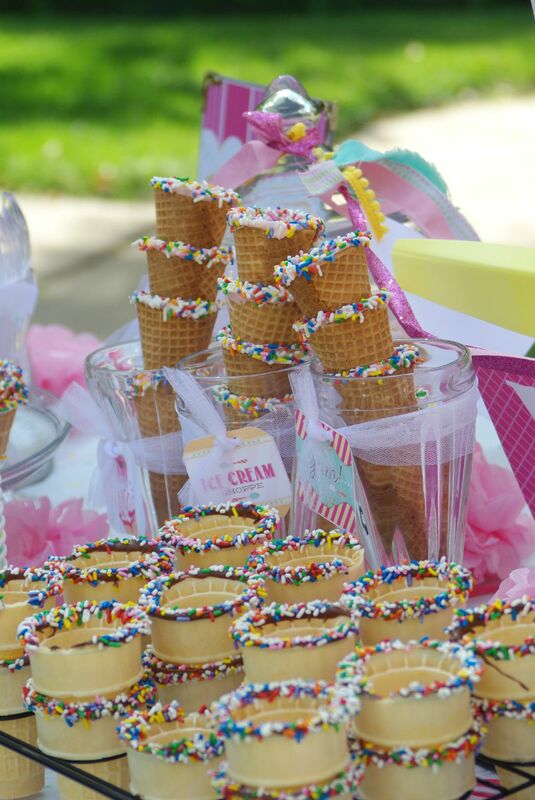 The children were each given an ice-cream cone sippy cup which was placed in a cellophane bag making it perfect to hold their treasure of candy. Yes, I realize at the end of the party when all the guest have walked away that a huge part of throwing a birthday party is for us,as parents . . .
Because that’s just what we do . . .
We love unconditionally . 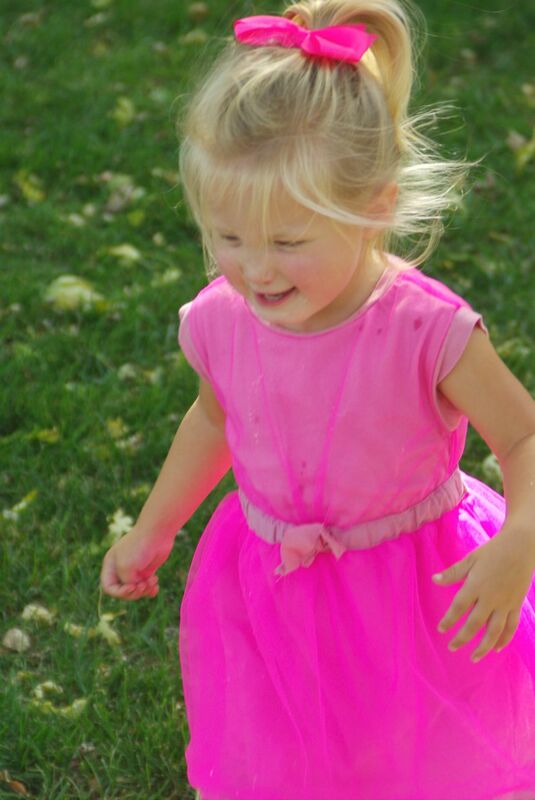 . .
We delight in seeing the joy in our child’s face . . .
And we absolutely love the memories and traditions it leaves behind. Happy Birthday Miss Molly Doll! Linking up with my friend Jann for SYC, if you want to weekly inspiration, head on over. What a fun theme! Love bed it all the specially the cookies and piñata. Thank you! And believe me the cookies were just as yummy to eat as they were to look at. Wow, how fabulous! 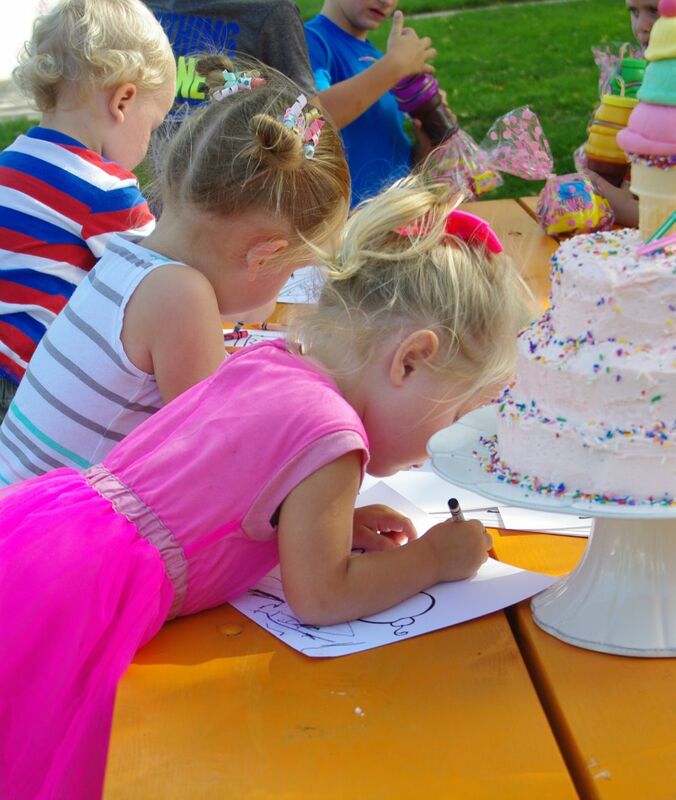 Birthday parties are the best. People who give them make the world a better place. Oh, you are the sweetest. 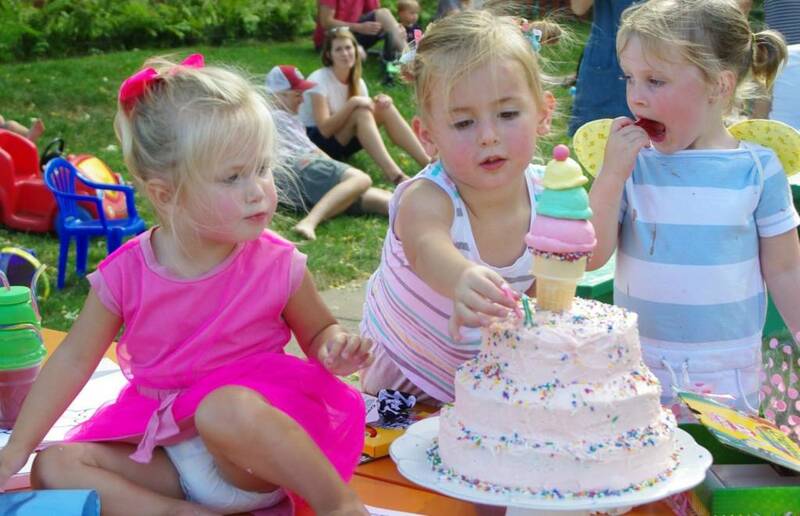 And yes, birthday parties are the best, no matter your age, right? How absolutely darling, looks like all the hard work paid off, just seeing the looks on those darling children’s faces. What a fun and happy time for all of you and memories that will last forever with all the fabulous pictures. Yes, the hard work paid off. 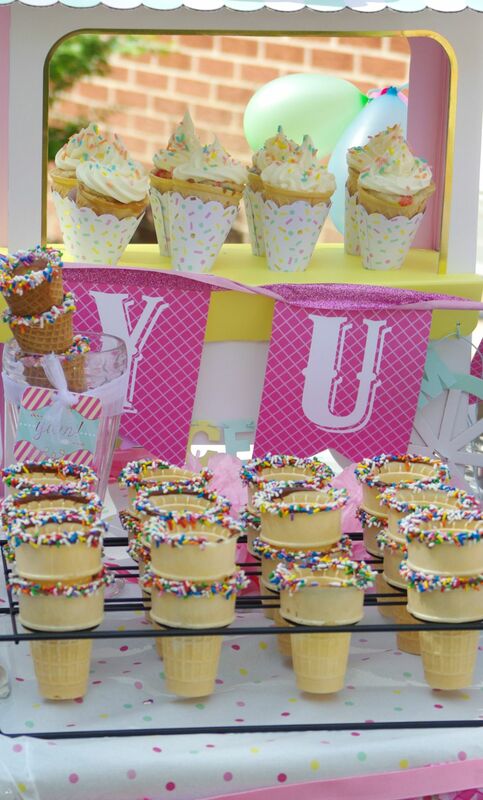 Tori and Logan did a great job with this cute party. Logan was our master cake decorator . . .
What a beautiful party and so many happy memories created! Yes, those memories last forever, right? Well, it does help to have some photos of the event to spark that memory. OMG, Trina. 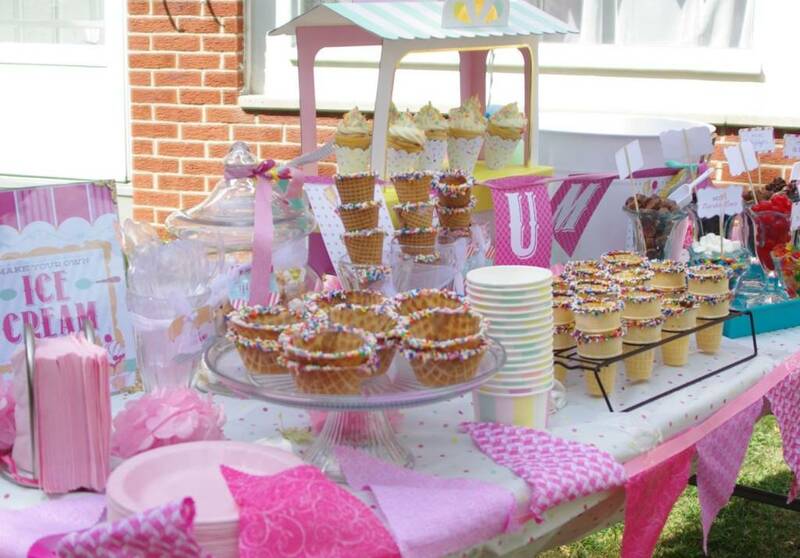 You’re the best organizer of wonderful parties, and it seems that your daughter has inherited your class and style. Haha, yes, she certainly has. But I must say it’s so much better and a whole lot more fun when we get to entertain together. Happy birthday grandma. Again a lovely party. Two other words spring to mind: sugar rush and laundry haha. 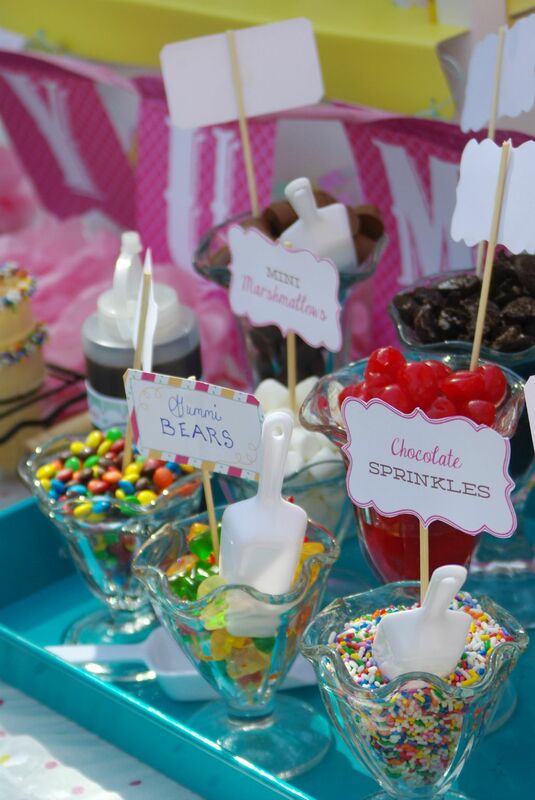 You are totally right about the sugar rush! Good thing the little ones were going to their own little homes afterwards. As for myself, while entertaining I usually forget to eat so I’m safe on sugar end. And neighbors love to receive left over cookies and treats. Well, you would make for one entertaining and adorable grandchild. Guess what? I think I’ll be heading to Toronto either Oct. 2 or 3. Will you be around? Coming over from Jann’s! Wow, this is one amazing party. I want one like this for myself. All of the details are exquisite, and I adore the party invitation. Who wouldn’t love this?!! 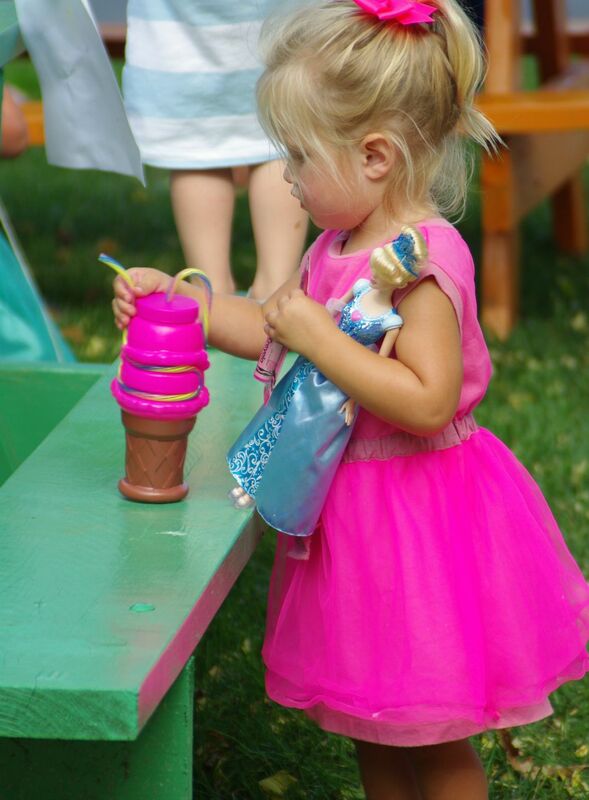 Trina, you are the queen of party throwing and of course your cute daughter would follow in your footsteps! Everything about this was just delightful! 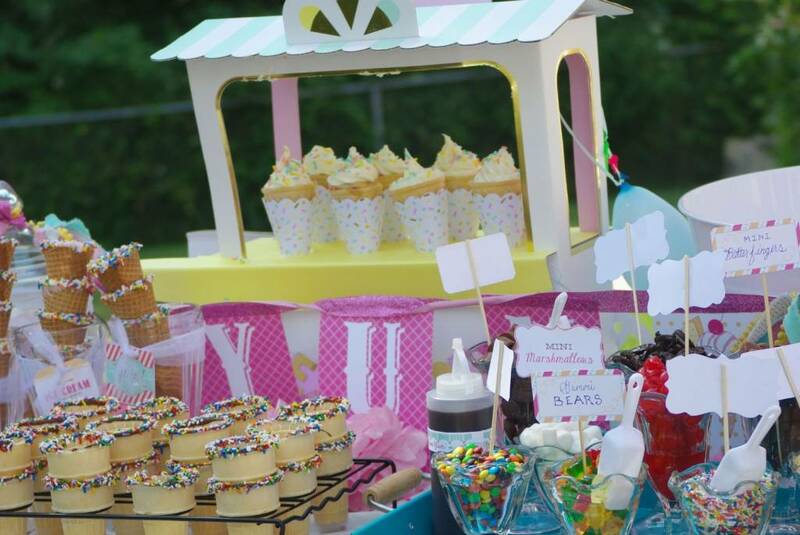 We are big party people as well and my girls have thrown some wonderful themed birthday parties. 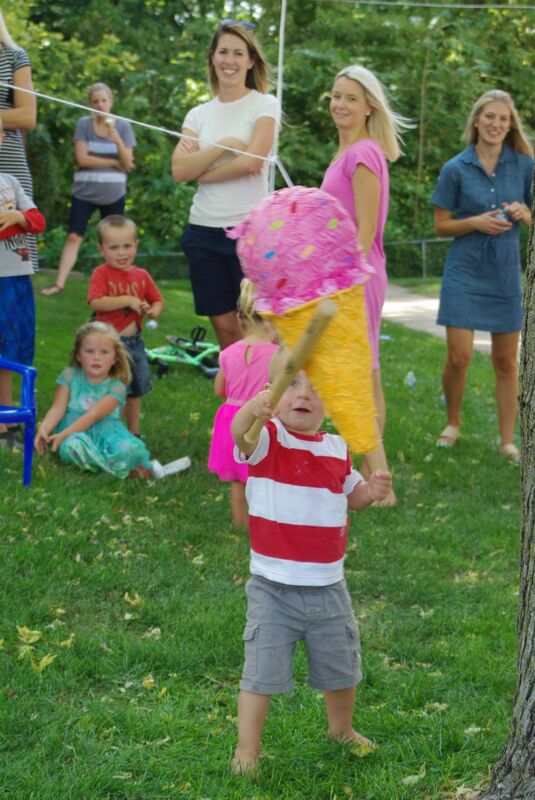 Our 3 year old Will had a piñata at his party in July. 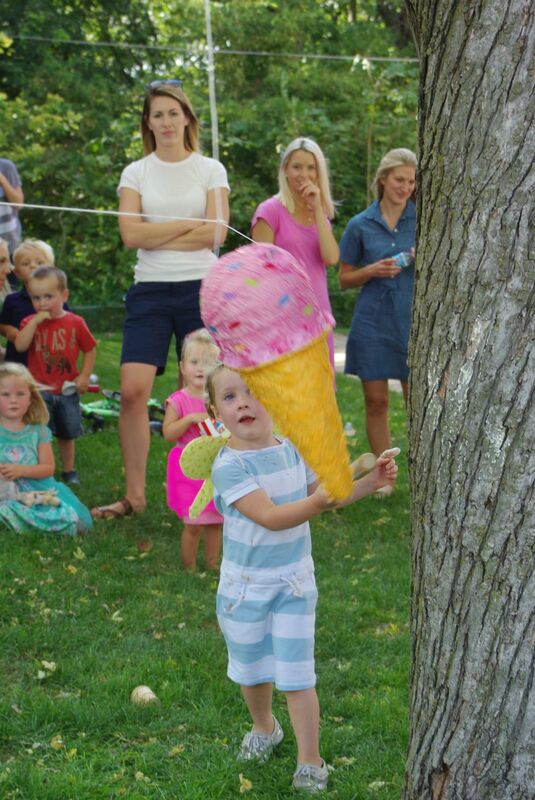 Kids love both pinatas and ice cream! Thanks for sharing with SYC.